You need a specific image for a project. There’s nothing relevant in your stock folder. In the background a clock is ticking the seconds away until the deadline hits. The client hasn’t provided anything either! What the heck are you gonna do?! Never fear, stock images are here! You input your search query and hit enter. The page loads, top down. The images start to display. Finished loading, but not even close to useful, the page leaves you scratching your head. Who in the world would ever need THAT stock photo?! Come along for a ride with K2 as we dig through stock sites to find the wackiest stock images online. 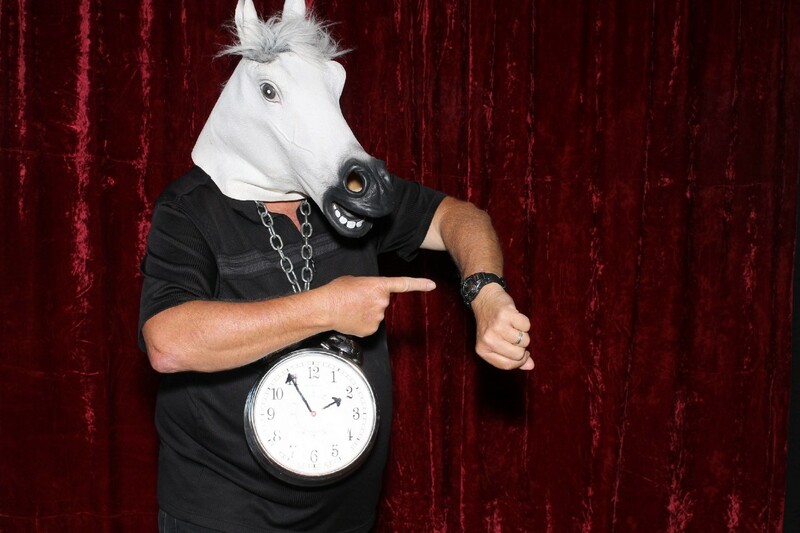 Let’s stop horsing around and wasting time! Let’s get right into the list. Even though I lost half of y’all readers to that last pun, all I can say is: sorry, not sorry. Puns are how Cheeky Monkey rolls. Seriously, though. With a title like that, I have no clue what I’m supposed to be looking at. What did they think someone would ever use this shot for? Is it supposed to be the host of a Halloween party scolding a guest for arriving late? Is he a hip-hop-horsey about to drop the hottest album of 2019 called Riding On Rhyme Time (or something)? He’s pointing to his watch like he’s saying, “Do you know what time it is?” As if we’re unaware of what time it is… YOU HAVE A MASSIVE CLOCK CHAIN AROUND YOUR NECK! Why the horse mask?! WHY THE FANCY BACKDROP?! I have so many questions for you, sir. Pay close attention kids! This is what happens when you completely misunderstand the phrase, “feed the world.” No matter how much spaghetti you give Mother Earth, you’re not gonna solve world hunger. There’s a bunch of elements that make sense in this shot, but so many more that don’t. A woman walking through the forest jumping for joy? Sure, that makes sense! A frustrated woman throws the meal she’s failing at prepping into the air? I can get that one too. 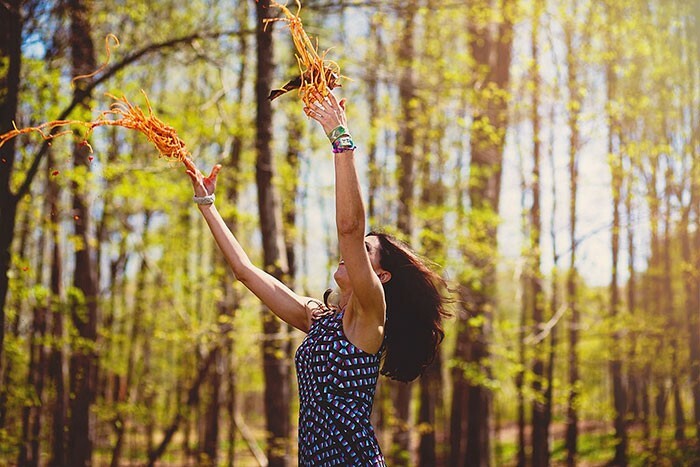 Buuuut why is she in the forest looking super cheery, throwing the spaghetti with her bare hands? Did she bring the whole pot? Did she carry it all the way there from her kitchen, bolognese sauce dripping from her fingers? Someone please help me answer these questions. #3 The cat snake in the cap of Santa Claus is on the snow. Its baby is next to it in the shell. This one might be my favourite of this whole list. There’s not even any witty commentary I can add to this monstrosity. It speaks for itself. The name alone is completely ridiculous. It’s like secret agent code, or some sort of post-modern haiku or something. It’s like someone used a random word generator and then made an image of the result in Photoshop. Personally, my favourite touch is the baby cat-snake hatching out of an egg, complete with a Santa cap! I gotta stop thinking about cat-snakes now. They’re starting to freak me out. I don’t trust ‘em. In this alternate reality cats became the dominant species on Earth. Humans adapted and became their domesticated companions and loyal pets. The world is in an endless age of peace and prosperity thanks to our benevolent cat overlords. Every night, the caring cats watch over and protect us from the dangers of their world. At least, that’s the only way I can make sense of this photo. It’s gotta be an artifact that slipped through from that alternate reality to ours, right? Whoah, whoah, hold up a second. That’s the cat from the cat-snake picture! What’s he doing here?! I’m not so sure he’s benevolent now that I know he’s a half serpent shape-shifter! His poor pet human… I hope he knows the truth of what his cat-master is! 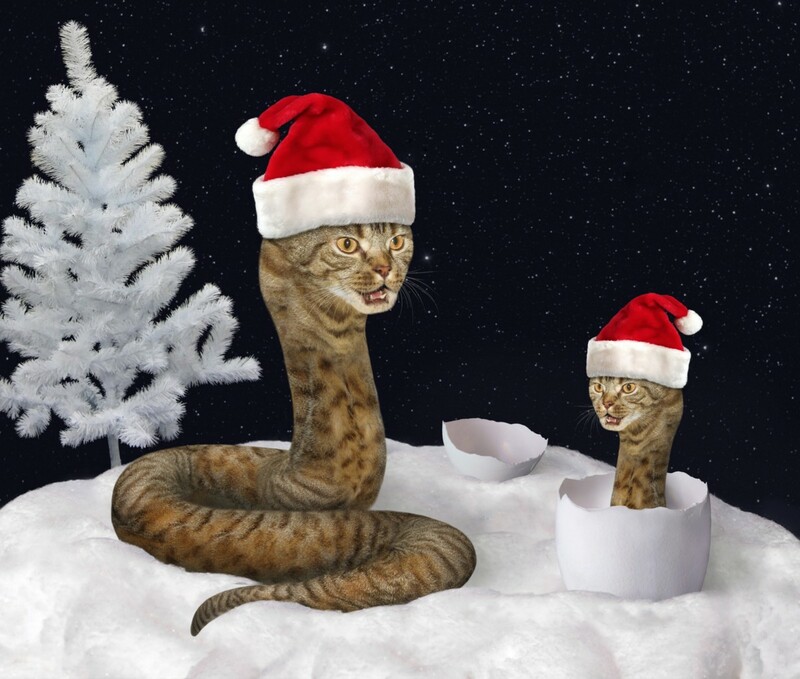 Call me prejudiced, but you just can’t trust Santa hat wearing feline serpents. It looks like he’s comfortably sleeping in his bed. Let’s leave him be and hope nothing disturbs his sleep, or harms him in any way. #5 The big man burger on white background. I TOLD YOU! I told you all! Did you listen though? Noooo. Nobody listens to K2 when he warns them about the festive serpentine felines. See what that cat-snake has done to this poor man? Forget the Big Mac burger, this is a Big Man burger! He’s literally sandwiched between two buns, lettuce, pickles, onions, cheese, and tomatoes! Tell me you can’t help but feel pity for the guy. This is why I don’t own a cat. You just can’t trust them! You never know with cats. Sir Snuggleton could be a simple friendly neighbourhood kitty. Or he could be the demonic shapeshifting spawn of evil incarnate. There’s no way of knowing! Do you have a web or design project in mind? 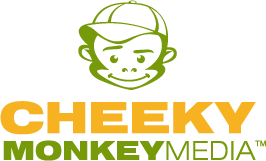 Get in touch with Cheeky Monkey Media today and we can help you take your site to the next level!